The first prosthetic eye is estimated to have been produced in the 29th-century B.C. The eye belonged to a woman in what is now Iran. Historians believe it was made using a waterproof paste, then covered in gold and engraved with a sunlike iris. Golden thread held the crude eye in place. For millennia cultures used various forms of eyepatches—decorated or plain—to hide the disfigurement of a missing eye, but in the early 16th-century, Venetian glassmakers developed something new. 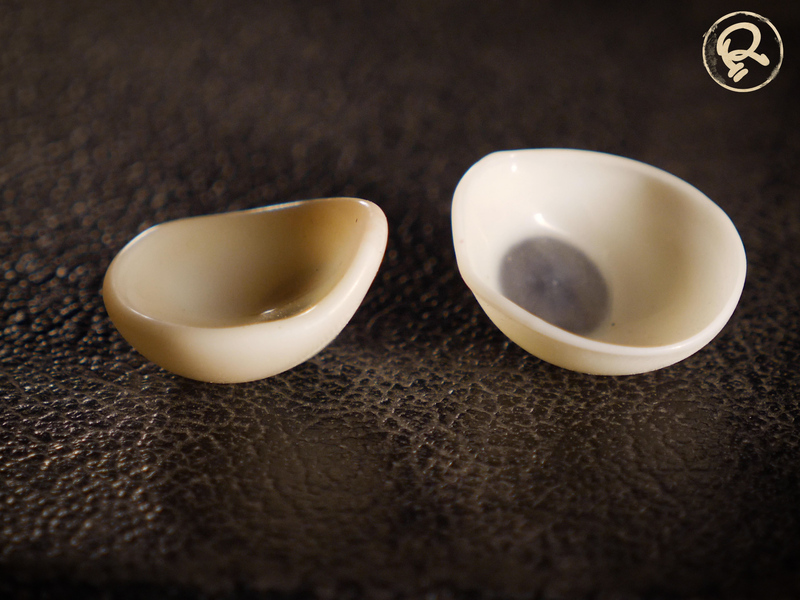 By using ceramic and glass, they were able to make eye prosthetics that looked much more true to life than anything before. A person with a glass eye was even able to pass in public without anyone noticing. Though the first glass eyes were delicate and could break easily—causing even greater damage—glassmakers in France and Germany quickly improved their techniques. The body of prosthetic eyes is firm, meaning that each one has to match a human socket perfectly. Hundreds of variations in size, thickness, color, and shape have to be made ahead of a fitting, then meticulously tried until one fits just right. 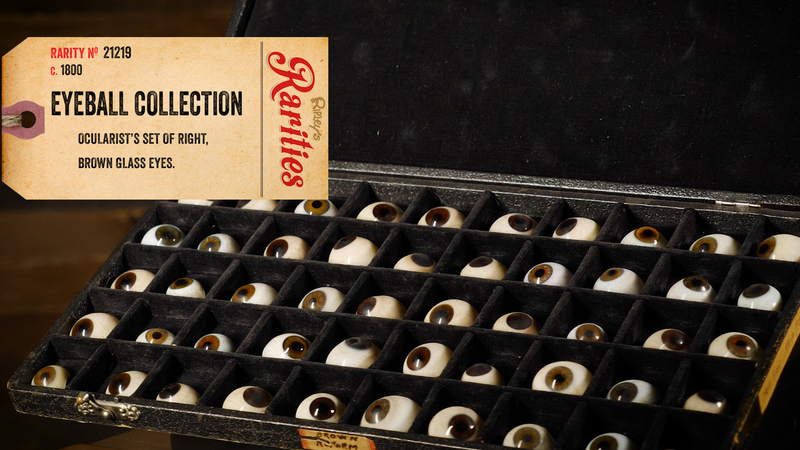 Irises painted with excruciating detail, varying pupil sizes and even embedded strands of silk to look like veins make a glass eye look as real as possible. Ocularists do their best to match a person’s eye color, iris size, and normal pupil size. 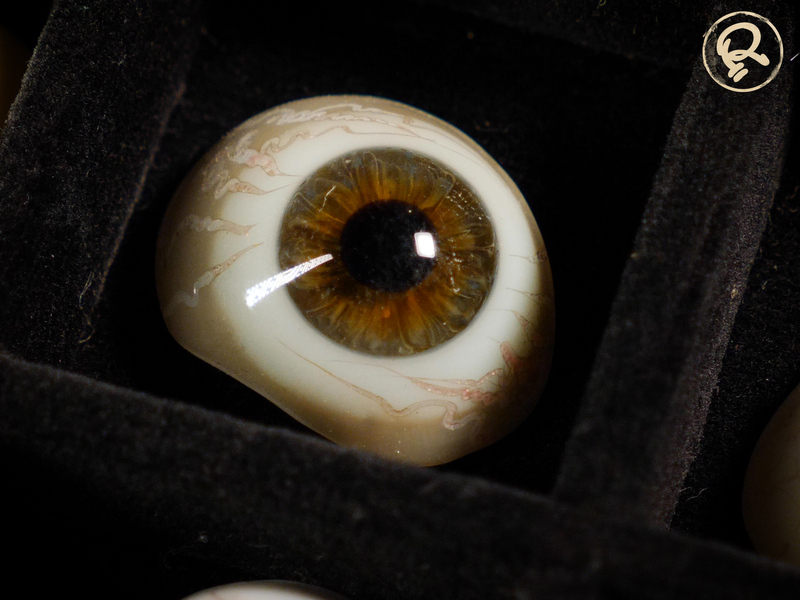 One of the limitations of glass eyes to this day is that the pupil cannot dilate like a normal eye, and is often a dead giveaway that someone is wearing a prosthetic. 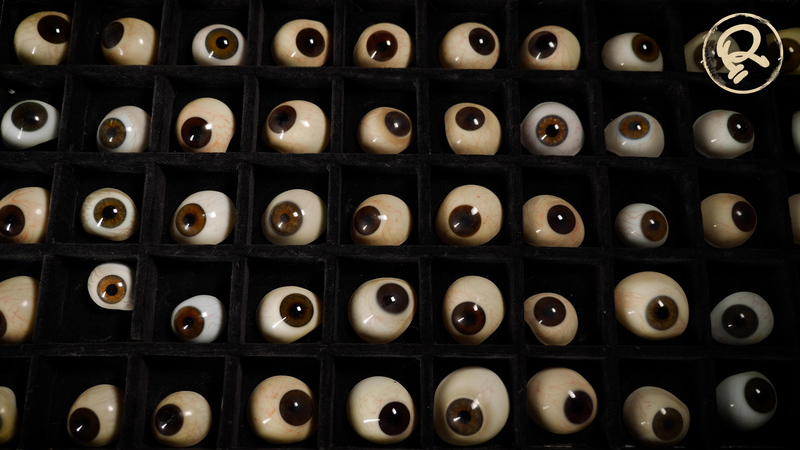 Today, prosthetic eyes are often custom-made for patients. The process isn’t just a medical science, it’s also an art. Ocularists strive to capture not just the look of people’s eyes, but the emotions as well.